Dr Yvonne Masters is currently an Adjunct Senior Lecturer in Professional Classroom Practice in the School of Education. Prior to taking up her position at UNE, Yvonne had 30 years' experience in secondary schools including in the roles of Curriculum Coordinator, Deputy Principal and Principal, roles that developed her skills in leadership, project management, curriculum and assessment. Her teaching experience spans three states. 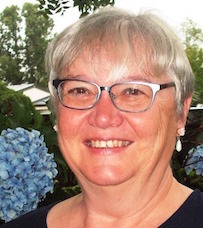 Yvonne's research interests centre on teacher education, professional experience and virtual worlds, with a particular focus on distance education students. Yvonne was awarded her PhD in October 2010 and in the last three years she has gained, in collaboration with other researchers, 4 Internal School of Education Research grants, been a partner in a $200,000 ALTC (OLT) grant, VirtualPREX: Innovative assessment using a 3D virtual world with pre-service teachers, and in 2014 achieved a UNE Seed Grant for a one year project to explore teacher quality. Gregory, S., & Masters, Y. (2012). Real thinking with virtual hats: A role-playing activity for pre-service teachers in Second Life. Australasian Journal of Educational Technology, 28 (Special issue, 3), pp.420-440. Masters, Y. (2013). Co-Principalship: Are Two Heads Better Than One? International Journal Cross-Disciplinary Subjects in Education(IJCDSE), 4, pp. 1213-1221. Masters, Y., Gregory, S., Dalgarno, B., Reiners, T., & Knox, V. (2014). VirtualPREX: Developing Teaching Skills in Second Life. In C. De Coursey & S. Garret (Eds.). Studies in Virtual World Learning and Practice, 69 - 94. Oxford, United Kingdom: Inter-Disciplinary Press. ISBN 9781848882317. Masters, Y. (2010). Hands across the ether: Preparing external students for professional experience. In Halloway, W. & Maurer, J. (Eds.). International Research in Teacher Education: Current Perspectives. Armidale, NSW: Kardoorair Press. 211 - 224. ISBN 978-0-908244-80-5. Masters, Y. & Charteris, J. (2015). First Year, Funds of Knowledge and Third Spaces. Presented at 34th Annual Conference on the First Year Experience. Dallas, Texas. Charteris, J. & Masters, Y. (2015). Engaging Funds of Knowledge to Enrich First Year Pedagogy. Presented at 34th Annual Conference on the First Year Experience. Dallas, Texas. Masters, Y. (2014). The wolf in sheep’s clothing: the continuing accountability discourse in education. The Asian Conference on Education 2014 Official Conference Proceedings, pp. 261 - 270. Osaka: Japan. Charteris, J. & Masters, Y. (2014). Embracing diverse funds of knowledge in a first year higher education. Presented at Asian Conference on Education 2014, Osaka: Japan. Masters, Y. (2014). “No heart. All hollow”: Teacher education and Professional Teaching Standards. Presented at ECER Conference, 2014, Porto, Portugal. Masters, Y. & Freak, A. (2014). Charting voyages of change in pre-service teacher identity: a framework for teacher educators. Presented at ATEE Conference 2014, Braga, Portugal. Masters, Y. (2013). Where in the World is Kolkata? Can International School Placements Make a Difference to Intercultural Awareness?. Asian Conference on Society, Education and Technology 2013 Official Conference Proceedings, pp. 498 - 509. Osaka: Japan. Masters, Y. (2013). Is Co-Principalship a Panacea for Burn-out and Applicant Scarcity? In IICE-2013 Proceedings, Dublin, April 2013, pp. 102-107. Masters, Y., Dalgarno, B. & Gregory, S. (2012). Designing and recording machinima to illustrate professional practice scenarios. Future challenges, sustainable futures: Proceedings of ascilite Wellington 2012, pp. 607-611. Masters, Y. & Gregory, S. (2012) Virtual world technology: a new way forward in teacher education. Proceedings of ATEA Annual Conference, Adelaide. Masters, Y. & Gregory, S. (2012). "A life-changing experience": Second Life as a transformative learning space. The Asian Conference on Education 2012 Official Conference Proceedings, pp. 198-207. Gregory, S., Dalgarno, B., Campbell, M., Reiners, T., Knox, V., & Masters, Y. (2011). Changing directions through VirtualPREX: engaging pre-service teachers in virtual professional experience. Changing Demands, Changing Directions: Proceedings ascilite Hobart 2011, p. 491-501. Gregory, B., Gregory, S., Wood, D., Masters, Y., Hillier, M., Stokes-Thompson, F., et al. (2011). How are Australian higher education institutions contributing to change through innovative teaching and learning in virtual worlds? Changing Demands, Changing Directions: Proceedings ascilite Hobart 2011, p. 475-490. Masters, Y., & Winn, S. (2011). Professional experience preparation: Does distance make a difference? AARE 2011 Conference Proceedings, Hobart. Masters, Y. & Gregory, S. (2011) Virtually face-to-face: crossing the border between on-campus face-to-face study and 'faceless' distance education through the medium of Second Life. Presented at the Australian Association for Research in Education (AARE) Annual Conference, Hobart. Masters, Y., Winn S. & Christiansen, G. (2011) Work integrated learning: Using technology to meet the challenge of quality supervision and support – presented at ULT-Futures Colloquium, UNE. Gregory S, Masters Y (2010) Six Hats in Second Life: Enhancing Preservice Teacher Learning in a Virtual World at International Conference on Teaching and Learning with Technology (Singapore). Gregory S, Masters Y (2010) Virtual classrooms and playgrounds - Why would anyone use them? In Proceedings of the 4th Annual Faculty of The Professions Postgraduate Research Conference: Bridging the Gap between Ideas and Doing Research. Masters Y, Gregory S (2010) Second Life: Harnessing Virtual World Technology to Enhance Student Engagement and Learning at Rethinking Learning in Your Discipline. Proceedings of the University Learning and Teaching Futures Colloquium, 2010. Masters, Y. (2010). Second Life and the novice user: What issues exist prior to commencing teaching in a virtual environment? In C.H. Steel, M.J. Keppell, P. Gerbic & S. Housego (Eds. ), Curriculum, technology & transformation for an unknown future. Proceedings ascilite Sydney 2010 (pp.590-594). Masters Y (2009) Taking the Tyranny Out of Distance: Enhancing Professional Experience for Distance Education Students at Paper presented at 'Teacher education crossing borders: Cultures, contexts, communities and curriculum' the annual conference of the Australian Teacher Education Association (ATEA).